Ryan McBroom does not have any MLB stats for the season. Draft: 2014, Toronto Blue Jays, 15th rd. 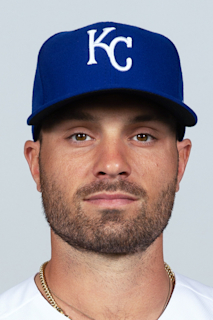 February 23, 2019 1B Ryan McBroom assigned to New York Yankees. November 17, 2018 Tomateros de Culiacan placed 1B Ryan McBroom on the reserve list. October 9, 2018 Tomateros de Culiacan activated 1B Ryan McBroom. August 22, 2018 Scranton/Wilkes-Barre RailRiders activated 1B Ryan McBroom from the 7-day injured list. August 17, 2018 Scranton/Wilkes-Barre RailRiders placed RF Ryan McBroom on the 7-day disabled list retroactive to August 15, 2018. August 2, 2018 RF Ryan McBroom assigned to Scranton/Wilkes-Barre RailRiders from Trenton Thunder. July 19, 2018 RF Ryan McBroom assigned to Trenton Thunder from Scranton/Wilkes-Barre RailRiders. June 29, 2018 RF Ryan McBroom assigned to Scranton/Wilkes-Barre RailRiders from Trenton Thunder. June 19, 2018 RF Ryan McBroom assigned to Trenton Thunder from Scranton/Wilkes-Barre RailRiders. June 8, 2018 RF Ryan McBroom assigned to Scranton/Wilkes-Barre RailRiders from Trenton Thunder. June 1, 2018 RF Ryan McBroom assigned to Trenton Thunder from Scranton/Wilkes-Barre RailRiders. April 6, 2018 RF Ryan McBroom assigned to Scranton/Wilkes-Barre RailRiders. February 25, 2018 1B Ryan McBroom assigned to New York Yankees. January 30, 2018 1B Ryan McBroom assigned to Mexico. December 29, 2017 Tomateros de Culiacan placed 1B Ryan McBroom on the reserve list. November 23, 2017 1B Ryan McBroom assigned to Tomateros de Culiacan. July 23, 2017 1B Ryan McBroom assigned to Trenton Thunder. April 3, 2017 1B Ryan McBroom assigned to New Hampshire Fisher Cats from Dunedin Blue Jays. February 28, 2017 1B Ryan McBroom assigned to Toronto Blue Jays. August 3, 2016 1B Ryan McBroom assigned to Dunedin Blue Jays from New Hampshire Fisher Cats. July 21, 2016 1B Ryan McBroom assigned to New Hampshire Fisher Cats from Dunedin Blue Jays. April 2, 2016 1B Ryan McBroom assigned to Dunedin Blue Jays from Lansing Lugnuts. March 16, 2016 1B Ryan McBroom assigned to Toronto Blue Jays. April 6, 2015 1B Ryan McBroom assigned to Lansing Lugnuts from Vancouver Canadians. June 19, 2014 1B Ryan McBroom assigned to Vancouver Canadians. June 12, 2014 Toronto Blue Jays signed 1B Ryan McBroom.